Meng Yang is a Chicago-based graphic designer. 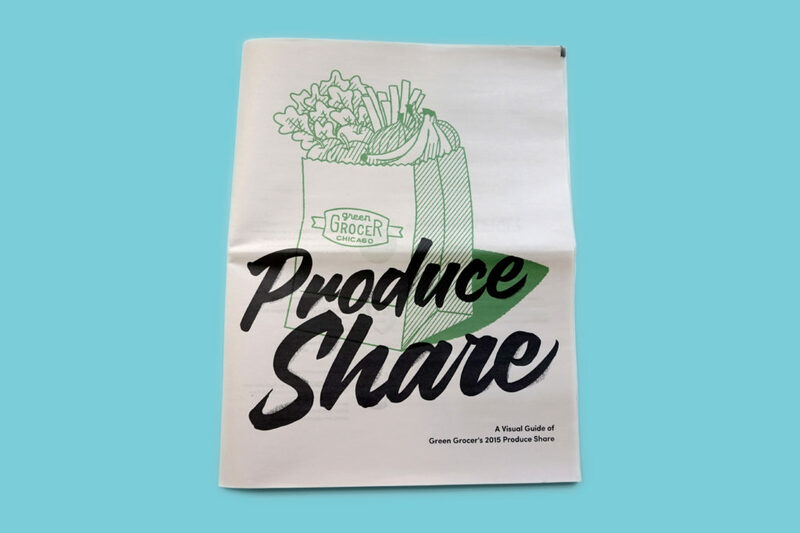 When he signed up for an organic produce share from local co-op Green Grocer last year, he decided to document his weekly bounty through illustration. 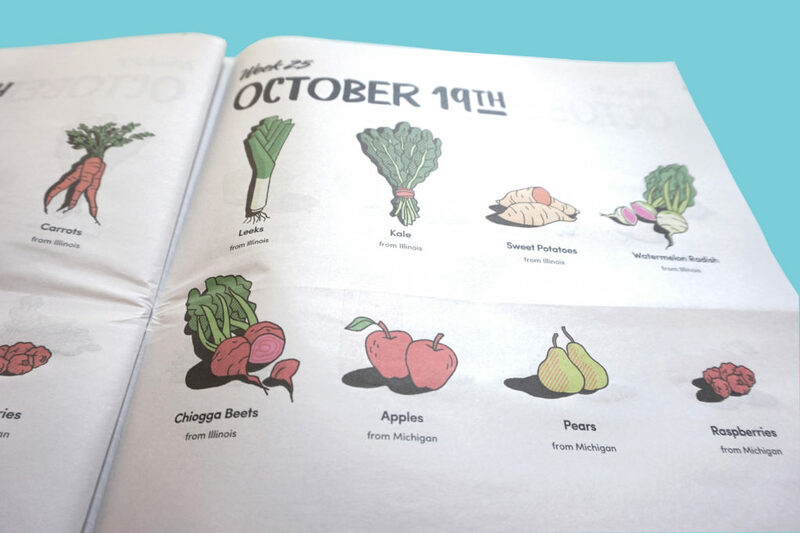 Now he's turned his drawings into a digital tabloid newspaper cataloguing 38 weeks of seasonal fruits and vegetables. It's a wonderful visual guide to a year's worth of organic produce – plus some cooking tips that Yang picked up along the way. "I thought it would be an interesting idea to visually show the varying items that I picked up weekly," he says. "And to highlight the quality difference of opting to shop at a local mom-n-pop shop versus the discount chains." 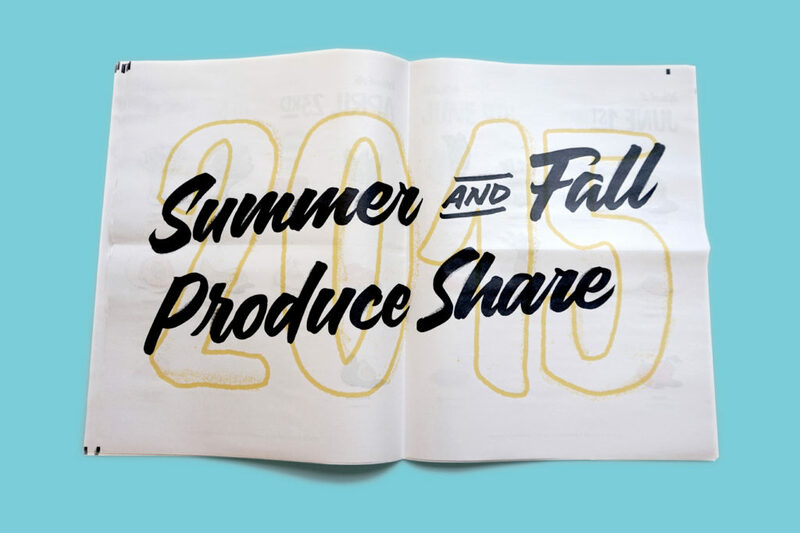 "Thumbing through a 52-page newspaper was the perfect format to showcase the sheer amount vegetables and fruits that run the gamut for 4 season's worth of goods." 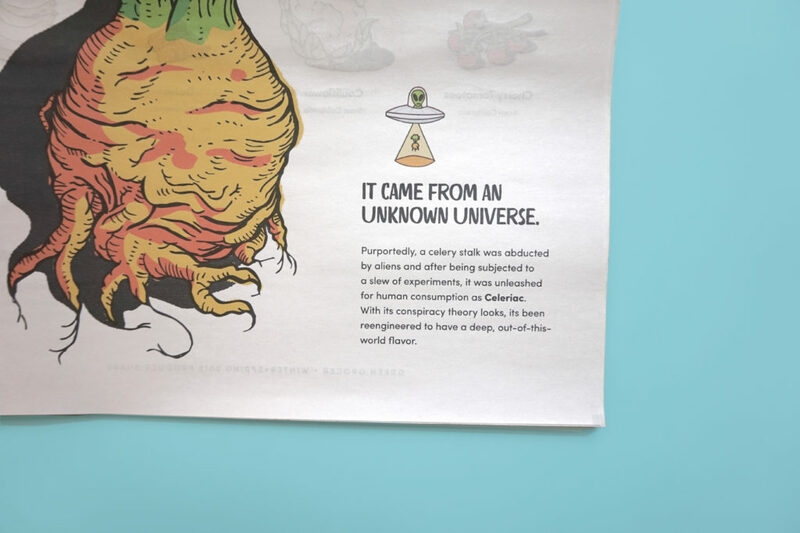 "It was a fun project to collaborate with a fellow illustrator friend of mine, Johnny Decker Miller, and I'm extremely happy with the print quality from the newspapers."